The Railway Fort and a part of the surrounding nature reserve are now open to the public. This is a stunning and historic place where you can find out about the history of the Fort above ground and below. Learn everything about the way the fort is constructed and its purpose in the larger fortification belt. Immerse yourself in finding out about the history of its construction, the purposes it serves, and the function it had during war. This interesting exhibition also shines a light on how the fort serves its current role in offering a natural habitat to distinct flora and fauna. You can take a walk of approximately 1,2 kilometres taking you along five lookout points with informative signs. 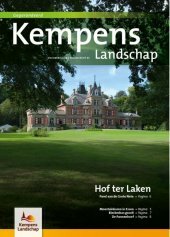 When you are cycling through the nature reserve of the Kempen the Railway Fort is a main feature. It is connected with the fort of Mortsel by a brand new bicycle highway. This is the new, southern access point to Antwerp's complete inner and outer fortification belt. In addition the fort is located at only 2 kilometres distance from the domain of Roosendael, an old catholic abbey with 17 hectares of nature reserve and recreational grounds (www.roosendael.be) and is also linked to the green cycling path along the Nete river. Do you want to discover all the hideouts of the fort? Then go on a tour with one of the fort's very own guides. They will take you to subterranean passages and will reveal the secrets of this military monument.